Brandy Stiffler, an occupational therapist, has been providing occupational therapy services to children and adolescents for 15 years. She specializes in sensory processing, gross and fine motor coordination, feeding disorders, socialization skills, play-based skills, and motor-planning skills. 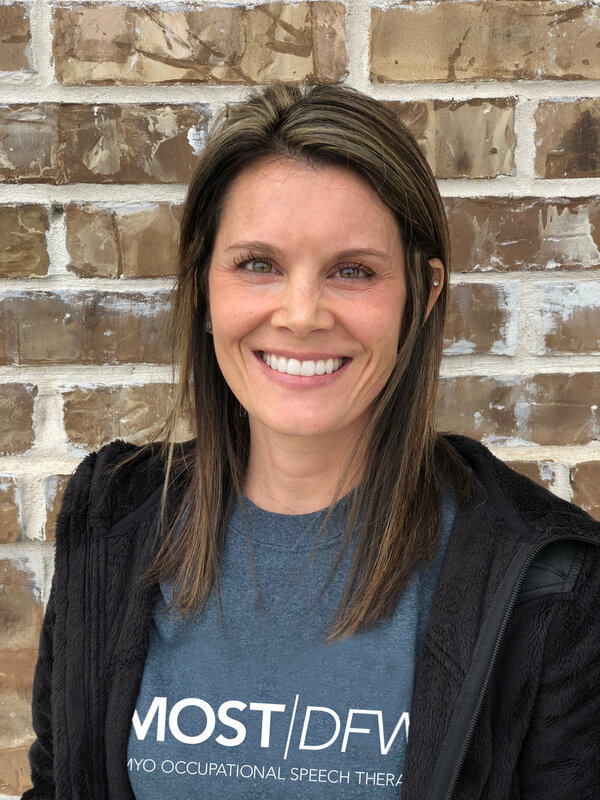 Brandy has vast knowledge in feeding therapy, sensory motor integration, kinesiotaping, and therapeutic massage for constipation, working with a variety of clients with Autism, Cerebral Palsy, Down syndrome, and genetic syndromes. Brandy thrives in an ever changing environment like occupational therapy, adapting techniques and disciplines to best fit the client’s emotional needs and therapeutic goals. The diversity of clients she serves is what drew her to the field and makes teaching and learning new skills a part of her everyday life.